The caste “system” in general and “untouchability” in particular serve as, perhaps, the most extreme example of how social ritual is used to preserve and protect false hierarchy. Today, as a result of the success of the mythology of caste, most members of the Indian elite have little awareness of the millions of men and women in this country who are charged with cleaning sewers, making leather and weaving cloth. Though, each and every member of Indian society is deeply aware of the spurious (though still shockingly prevalent) ideas that lead to this unforgivable chasm in humanity. Here too, there is a fundamental metaphysics of difference, founded in an arbitrary theorization of nature that fuels hierarchy and thereby allows for the justification of violence, subjugation and inequity. The reason why such theory is encouraged is that the imagination of difference, through the generation of spurious philosophy, allows for conquest that does not tax the conscience. Oppression stems from metaphysics of difference. Such imaginings are dangerous–the ultimate cost of rigor is a price paid by all humanity; people are forced to accept invented categories that infect natural functions of logic and reason. In the natural world, universal rules of difference can only be assumed or accepted under duress. They cannot be deduced or demonstrated. Additionally, all comparisons used to systemize difference are elusive. There are infinite points of comparison within an object, or between sets of objects. The logic of comparisons is never fixed. It can be constantly challenged and altered. Scales of comparison are also invented, and often driven by utilitarian or political concerns. The assumption of any kind of categorical difference lacks rigor. Human beings have yet to shake the basic anxiety that comes with ignorance. We do not know, so we pretend to know. The gesture of authority is ultimately a gesture of pretense. Is there really any substantive motivation that allows Pascal to assume that the natural world is low and corrupt? Or to imagine a specific kind of God that invents such a world? Even if this choice can be justified, surely in a world of as diverse as ours, one will have to admit this choice remains one amongst many. The power of egalitarian arguments or arguments that posit unity is that they form the starting point for all thinking. When you wipe the ontological slate clean, you get equality. Despite the variety of life, it is difficult to deny that there is something that all of nature shares in common. Even Pascal would not deny this and therefore must concede that a proportion of man partakes in the natural world. Any step further than this seems like conjecture. Accepting an egalitarian argument means accepting the fact that we choose our order. It is not pre-constructed for us. The world does not come with a detailed handbook that instructs, for example, men are lower than God, man is distinct from nature, people should be graded by income and profession or by sexual organs. We are born to the world, and we supply and adopt our own values and interpretations. Even if there were some primordial order, we have no way of being sure of what it might look like. Still, people insist on conjecture because egalitarian arguments are daunting and uncomfortable. They force the individual to accept a basic threshold of ignorance and uncertainty. Science has changed this in many ways because, as many contemporary scientists suggest, science thrives on uncertainty. For this reason, fewer philosophers die brutal deaths in the current era. However, the relation between science and uncertainty would also explain the phenomenon of religious fundamentalism, the global war on terror and the increasing rift between science and religion. Religion, in its demand for certainty, is perhaps the new ground for philosophical persecution. However, this is not satisfying because the fundamental problem that motivated the persecution of philosophers remains: the human inability to take responsibility. If we are all equal, then from our carnivorous diets to the persistence of human poverty, we remain accountable for all our human ills. There is no logic that can save us from the trace of our own violence. We must either pick non-violence or delusion. If we pick neither, insanity might be the only natural conclusion. Science, while it thrives on uncertainty, is no help in this matter, as it is forever tempted to theorize a force or a chemical as the cause of everything, including human action. 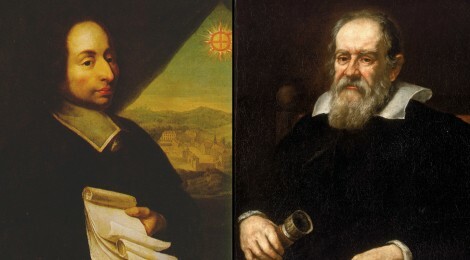 We are far away from Pascal and closer to Galileo, but no further away from blinding dogma. One step forward and two steps back. The argument for equality ultimately means taking responsibility. Taking responsibility requires a basic degree of maturity. Certainly, in its short span of existence, humanity has matured and therefore egalitarian arguments have made some progress. However, there is a long road ahead, filled with growing pains. On this path, the past serves as an important reminder of the manner in which fear and ignorance lead to the persecution of exactly those figures who stand to teach us the most.